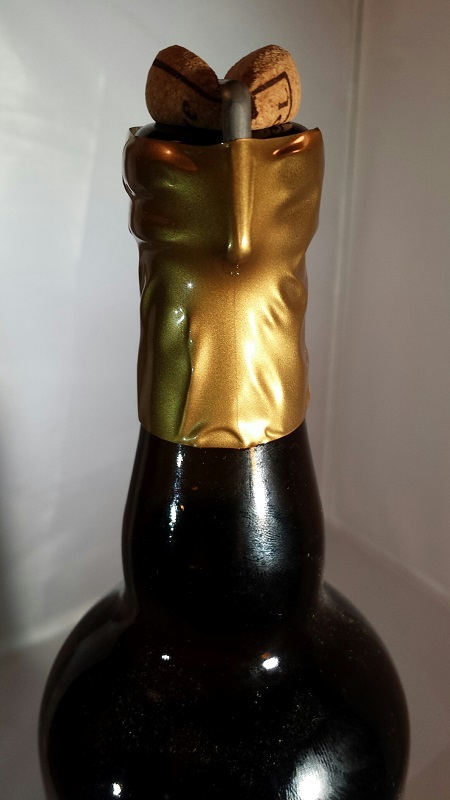 [March 7, 2016]–La Brasserie de St-Sylvestre in French Flanders makes a Biére de Noel I’ll have to try one holiday season, should I again descend into 12 Beers of Christmas madness and try to crank out a dozen yuletide reviews. No question the effort wears me out for doing more TAP Beer of the Week picks until, say, March. Hmm, it is March, and some interesting beers have crossed the threshold. Time to get a grip (on my beer glass) and resume writing. The St-Sylvestre brewery is best known in these parts for its 3 Monts Flanders Golden Ale, a biére de garde, which I didn’t have on hand. 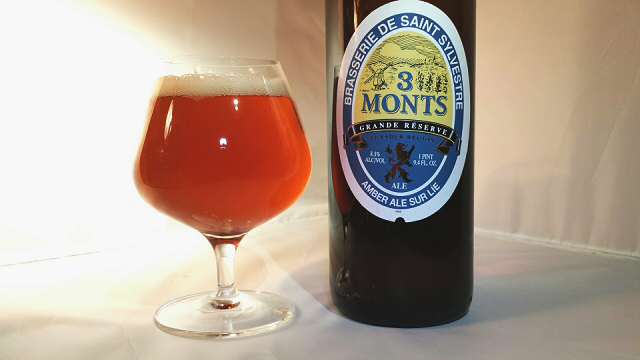 The 3 Monts Grande Reserve is its darker sibling, also a biére de garde but tougher to find. The Gavroche is called a French Red Ale, which is a new one on me. 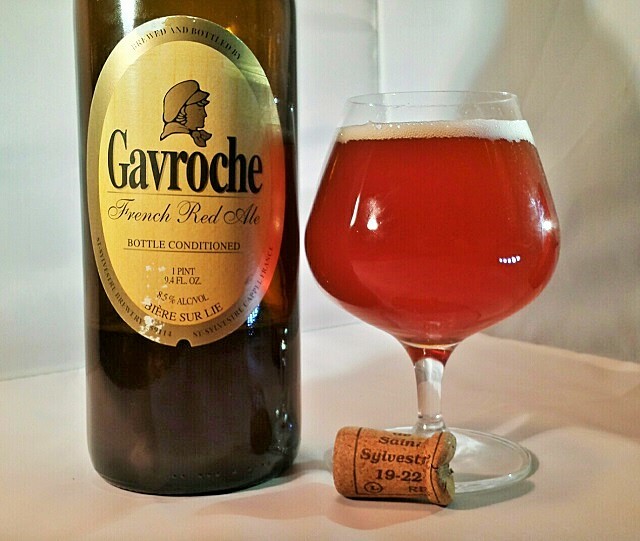 It has nothing stylistically to do with the sour tartness of a Flanders Red Ale (à la Rodenbach), but works as another variation on the biére de garde spectrum. All three beers are imported by Eurobrew Inc. of Massachusetts and representative Anne Latchis said, “The Blonde outsells the Amber, and the Gavroche outsells them both, perhaps because of the Victor Hugo tie-in and the popularity of ‘Les Misérables.’” News to me, as I’ve neither read Les Misérables nor seen any production of the “Les Mis” musical. But Gavroche is named after a streetwise urchin who figures prominently in both. The town, Saint Sylvestre-Cappel, is named after Pope Saint Sylvester I, of whom relatively little is known, although he had a lengthy papal reign from January of 314 until his death in 335. His feast day is January 31, the day he was interred, but the beers are drinkable year-round. “I’ve been to the brewery, and it’s a lovely little place, family-run [by the brothers Ricour], on a side street in the rustic town, which is a short drive from Lille,” said Latchis. The three monts in view might more accurately be called hills—Mont Noir actually in Belgium, while Mont Cassel and Mont des Cats are on the French side of the border. If unprepossessing and long on tradition (brewing here is said to predate the French Revolution), the brewery is thoroughly modern, right down to the automated bottle corking, the corks held in place by large metal staples. It makes opening them a modest challenge, but the effort is worth it. I drank the two bottle-conditioned beers on separate nights. There was a touch of oxidation in the early pour of my Grand Reserve bottle, but it quickly drove off, leaving an amber snifter full of swirling sweet, fruity and alcoholic vapors. There are licks of toffee, a slight suggestion of chocolate, visions of plums and pear, a wisp of anise all in a warm and biting mouthfeel. It’s quite involving, and I enjoyed spending a couple of hours with it. 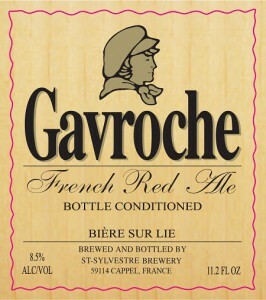 The Gavroche is also a treat, similar-looking but tinged with apt red hues. It has a big toffeeish nose, suggestions of honey, berries, plum. But the palate is mainly sweet toasty malt, with a silky mouthfeel, a barely discernible bite, and a mild green apple puckering at the finish. It hides its 8.5% ABV well. It seems a less complex brew than the Grand Reserve, but it’s big and engaging. Maybe I should see if another could get me through “Les Mis”?